Shot on several locations in Amsterdam, Dubai (UAE), Sharjah (UAE), Pingjum (Friesland), and Doha (Qatar), Typographic Matchmaking in the City: the Film follows the 5 teams of Dutch and Arab designers that participated in the project over a period of 18 months while they were traveling, working together, and presenting their work in progress to culturally and professionally diverse audiences. The film makes visible not only the design process, the struggles and challenges of the designers, but also addresses the larger topics of bringing two cultures into a dialogue through design. The personalities of the designers show through their collaborative process, discussions, interactions and the final design outcomes. the film gives a very humane and personal portrait of the process of creation and creativity. Typographer, graphic designer, researcher, and writer Huda Smitshuijzen AbiFarès is the founder of the Khatt Foundation, Center for Arabic Typography, which is dedicated to advancing design research and typography in the Middle East, North Africa, and their diaspora. We met the Amsterdam-based expert for bilingual typographic research and design—whose project Typographic Matchmaking in the City is featured in Gestalten’s Arabesque 2: Graphic Design from the Arab World and Persia—to talk about the relationships between Arab and Latin typography, typography and architecture, as well as the visual musicality of calligraphy. 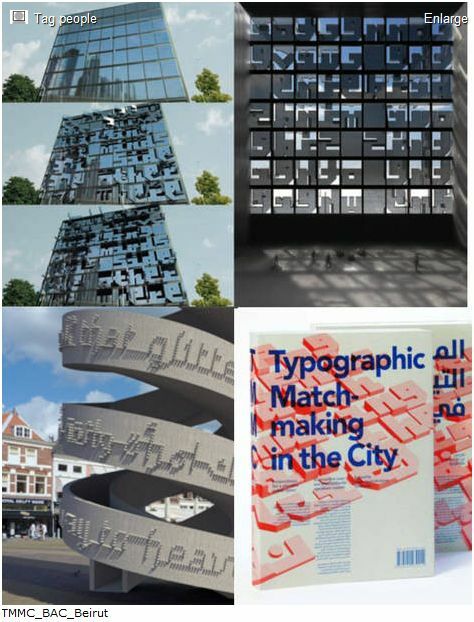 Huda Smitshuijzen AbiFarès: Winning the Match from Gestalten on Vimeo. I was impressed too, this really a good work.